The holiday season - no matter what particular holidays you celebrate - is all about friends and family. We are fortunate to have so many of our friends and family close by, but many people spend a good deal of time traveling to see those they love. No matter what your mode of transportation, you do not want to have to buy expensive snacks on the go. 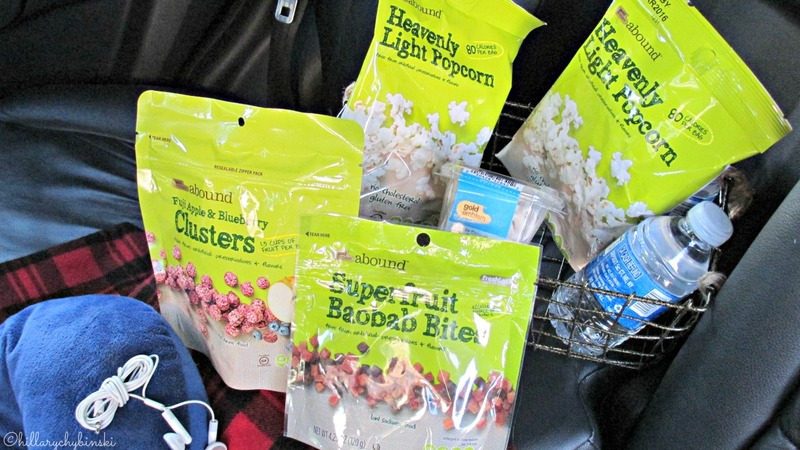 CVS recently sent me a box of their Gold Emblem abound brand snacks, and I can highly recommend them as the perfect road trip snacks or snacks to put in your carry-on. First of all, they have a crazy assortment of snacks, and there is something for everyone's tastes. Secondly, it's one-stop shopping and on my last visit to CVS they even had fresh fruit available! Since we travel by car, I like to have resealable bags to cut down on waste AND mess. Don't forget a bag for trash and hand sanitizer too! We may not travel far, but with two growing boys, we ALWAYS need snacks! I have never been able to read in a moving vehicle. I'm okay on plane rides, but in the car or on a train - forget about it! But these days, it's easy to keep yourself and the kids entertained with audio books, podcasts, and handheld games. When my kiddos were younger, I used to pack up activity bags for them during long trips. Your local CVS, Dollar Store or Target can be a great source of inexpensive entertainment items. I also throw in a few blankets and a neck pillow. 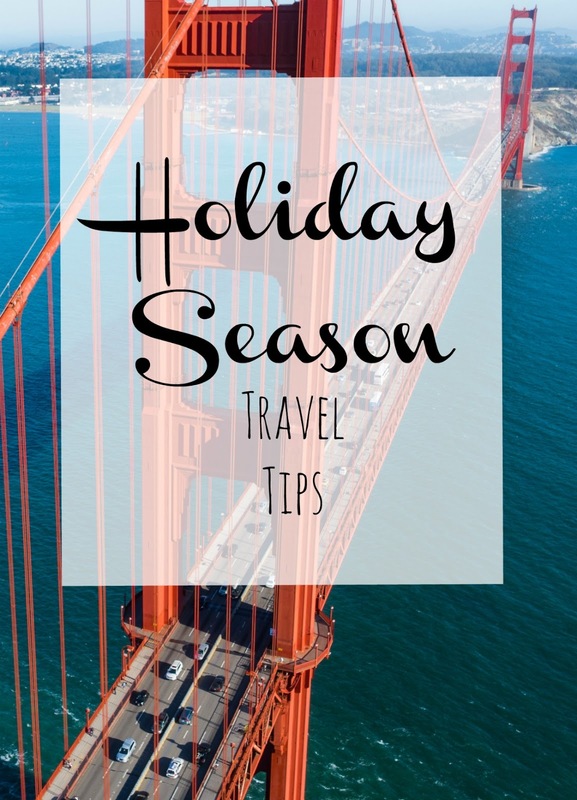 All of these ideas work no matter how you choose to travel this season. If you are traveling by car, be sure to check your emergency kit and restock any necessary safety items before you leave home. Make sure you have maps and GPS, because even if you are traveling somewhere you're familiar with, you may get detoured onto unfamiliar roads along the way. Consider traveling on an off-day or time, to make your trip a little less hectic. If you are flying or riding the rails this holiday season, don't forget proper identification, and to leave a copy of your credit cards and license at home, just in case. Pack as lightly as possible to reduce stress and the amount of things you have to keep track of. The holidays can be hectic, and when you add travel time on top, it can push the anxiety up even more. Stay clam and carry on - with snacks, entertainment and safety covered, you are sure to have an enjoyable trip. I put a little Stress Away in my car just in case though! These are great tips. I am not sure we're traveling at all - which I'm kind of glad about - but I always arm us with snacks and entertainment, for sure. Also - do you make all your own images? They look so good!